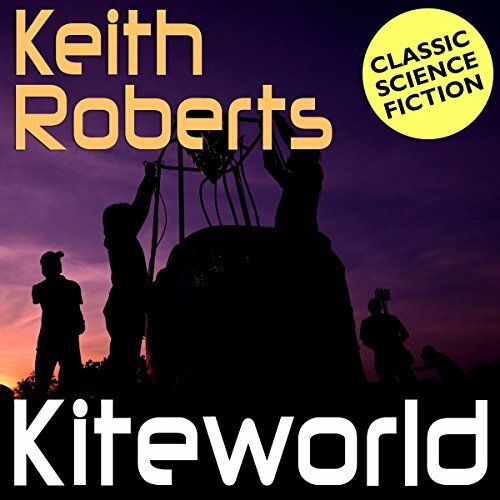 Kiteworld was the last major work from Keith Roberts, one of the 20th century's great masters of science fiction, whose classic Pavane was selected by Anthony Burgess in Ninety-Nine Novels as one of the best works of fiction published in the English language since World War II. The Sunday Times (London) has characterized Roberts' work as "something like a cross between Thomas Hardy and Russell Hoban... powerfully imaginative and absorbing." A panoramic novel of men and machines, Kiteworld presents a future world in which sturdy, highly trained crews launch daring pilots into the stratosphere, borne aloft on giant Cody manlifter kites to watch the horizon and the skies for demonic monsters strikingly suggestive of guided missiles and aircraft. Intense, detailed, and meticulously observed, the world of the novel is a future in which our world, after a catastrophe that has severed humanity from its past, is such a vague memory that details survive only as myth. Against this background, several lives and stories unfold: Raoul, the Kite cadet, who has killed a strange and unsettling mutant and is doomed to suffer pangs of guilt that ground him; Tan, the "special" child, whose brother, Kitecaptain Manning, is devoted to her protection at any cost; and the child-woman Velvet, orphan, procuress, and thief. As the world of the Realm resolves and becomes clear and sharp, all the conflicts heighten, and it is everywhere evident that a great battle is to come, in which the whole world will be altered forever. The premise of the book seemed good, and the writing style is fine, but the story seemed very opaque to me. I got a but under 1/2 way though before giving up, confused and somewhat bored. The story seemed to be going nowhere and was rather depressing to boot. Gideon's reading was fine, with good modulation and phrasing that did not distract, and although his range of voices was not huge it was quite up to the task. Possibly if I had continued on I would have seen threads pulled together, but I'm afraid I lost the will to find out.